While Global Fire Technologies, Inc. specializes in fire alarm installation, LAFD Regulation #4 testing, and central station fire alarm monitoring, the company is also an incredible resource for those seeking residential and home fire alarm systems. From multi-dwelling residences that share a common to servicing and replacing home fire alarms and smoke detectors, the whole gamut of residential fire alarm needs can be taken care of by Global Fire Technologies, Inc. In fact, our track record speaks for itself. Global Fire Technology, Inc.’s customer retention rate is a staggering 95%; this means that our customers come back to us time and time again for our fire safety services. The expertise of our team and our proactive commitment to customer service make keeping our client’s buildings up to fire safety standards incredibly convenient. Plus, Global Fire Technologies, Inc. offers discounts for clients who want to bundle fire safety services in a single building or across multiple locations. 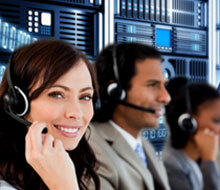 Global Fire Technologies, Inc. is based in Glendale, but we service the greater Los Angeles area. We’re fully versed on all pertinent national, statewide, and local codes (including LAFD Reg #4 and UL fire safety testing). 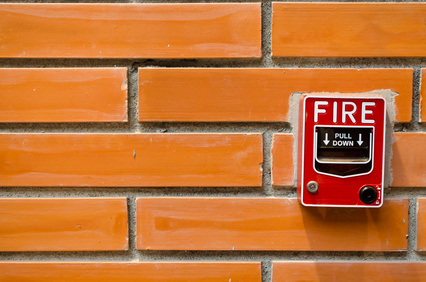 Our knowledge of every aspect of fire alarm services, from sales and installation to repair and testing, allows us to most efficiently use our resources, speeding up our tasks and expenses in the process. Continue reading for more in-depth descriptions of the residential fire alarm system services we offer! When it comes to residential fire alarm systems,the team here at Global Fire Technologies, Inc. primarily focuses on multi-dwelling residences, such as condominiums, townhomes, apartment complexes, and similar buildings. These locations most likely share a common fire alarm system (and often also an automatic sprinkler system). If you’re looking for the service/repair, installation, testing, or regular monitoring of the fire alarm equipment or systems in a residential space that you manage or own, give us a call! We understand how busy residential property managers can be, so we strive to make our services as efficient and affordable as possible. Similarly, if your residence has an alarm system set up—or if you’d like for us to set one up for you—and you’d also like central station monitoring, we can do that as well. For your complex or home, fire alarm central station monitoring from Global Fire Technologies, Inc. offers 24 hour a day, 7 day a week protection. 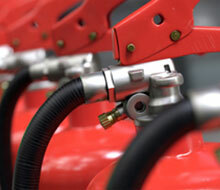 If your fire alarms are set off, we make sure that a fire safety team is immediately dispatched to your residence. 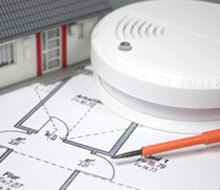 When requested, Global Fire Technologies, Inc. can service and replace home fire alarms and smoke detectors. We think it’s incredibly important for homeowners to make sure their fire alarm and smoke systems are fully functional and able to protect loved ones in the house. If you’re in doubt about your house fire alarms, feel free to contact Global Fire Technologies, Inc. We offer a free quote on any of our services, so it doesn’t hurt to ask. To learn more about residential fire alarm systems and the many other services provided by Global Fire Technologies, Inc., give us a call at 818-330-7136 or contact us online. The fire safety experts here off a free estimate on our services as well as a free consultation on any system you’re considering. 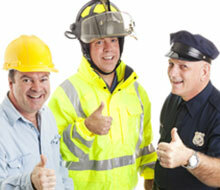 Call Global Fire Technologies, Inc. for all your fire protection needs!